Of course, he was speaking about Scottsman John Balliol and not some old cranky FM transmitter, but I understand that feeling. The Gates and later Harris transmitters always seemed to be somewhat less than top notch. The 5G was no exception to this rule. The final step for tuning the transmitter was to turn off the lights in the room and look down through the screen on top to make sure there were no little arcs in the PA tuning section. It also had a way of self oscillating, which could make for some exciting tuning. Good bye, I will not miss you. In one of my past jobs, I worked in a RCA town. I worked there long after the broadcast arm of that company went out of business, however, all of the broadcast transmitters, AM, FM, TV were made by RCA. I had an RCA FM-20ES1 which was 22 years old, built like a tank and just kept going along. I think that transmitter was finally destroyed in a fire, caused by it’s replacement transmitter. Old Collins, Contenental, RCA and even Broadcast Electronics transmitters had some heft to them. Of course, not every RCA transmitter was well thought out, the amplifuze series of AM transmitters were a maintenance nightmare. I’ve worked on Standard Electronics, Collins, Gates, RCA, and CCA FM rigs. I always liked the CCA FM equipment because of the Triode final with grounded-grid circuitry. Basically bulletproof. I never could figure out why RCA (and Westinghouse) started with grounded-grid power amplifiers in their early FM transmitters, and RCA changing this direction in the late ’50’s. The biggest problems that I have seen with FM rigs is the lack of maintenance with respect to air filters and clean air at the site in general. If the transmitter buildings were sealed tight with all intake of outside air filtered, I think many PA problems and other problems would be negligible. Electronics and Dirt just do not get along. As to Ampliphase AM transmitters, I ran a new one just after graduation from high school and liked it. It was a new BTA50H on 1130. We had a new BTA10U nighttime which served as a standby for the 50H. Both were new as part of a completely new site and frequency/power change from 1150. Our 50H would do 160% positive modulation with certain program material while just hitting 100% negative peaks. We may have been lucky to be on 1130, as I have heard some performance complaints of Ampliphase transmitters operating on the low end of the band. However, I was never able to get any exacting information on this at the time. It was the later 50J with the solid-state exciter that gave all the grief. The 50H was probably the best unit of the series. WGN had a 50G which had the older 5671 tubes and had made several in-house modifications to their unit. The older gates BC1T and the like where as simple as dirt and easy to work on. Later the design morphed into the BC1H’s which were less reliable because of the solid station audio drivers. BTW, most BCxH series transmitters are gone because the audio driver transistors go bad, for which there are no replacements. The Ampliphase transmitter I worked on was on 580 kHz. I think it was a G, one of the last ones they made. It was almost impossible to keep it aligned from month to month. Overall, the transmitter itself was pretty solid, the exciter on the other hand, had a mind of it’s own. Yes, I liked the BC1-T. There are others who may disagree and have called it a BC1-T(urkey)! Cost was a major consideration during this highly competitive period in the late ’50’s with Collins, RCA, GE, and Bauer all going after the Kilowatt AM business. I was never crazy about the printed circuit boards being phenolic in the original versions, nor the 220 volt control circuitry, but the replacement fiberglass-epoxy circuit boards with 807 tubes were a huge improvement. The original 6BG6 design was chosen for cost savings as the volume of these tubes used in TV receivers as sweep tubes brought the cost down to about 1/3 of what an 807 sold for. And, in those days, to save $400 compared to the BTA1MX, even Roy Rogers couldn’t resist! The Ampliphase on 580 kHz. 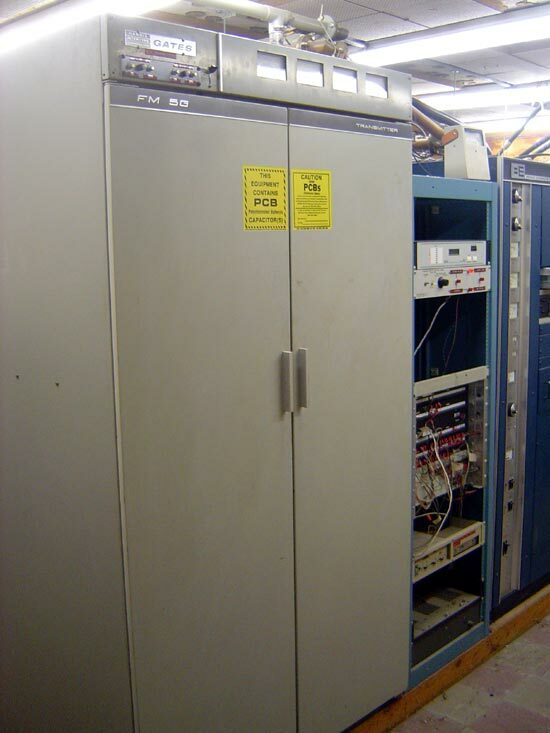 was probably a 5 kW unit which was a later design as the BTA5T and BTA5U plate-modulated transmitters continued to be sold while the 50 kW and above transmitters were Ampliphase production. I had thought the 5 kW RCA Ampliphase was a BTA5L. It used their 7094 tubes which was RCA’s big deal at the time. It never caught on and was a crummy tube. They are very hard to find today. The newer solid state exciter as in the 50J appears in this unit. This compounded with being on the low end of the band, is probably why the unit was so problematic. A local station here who were big-time RCA lovers, told me that they would not buy a 5 kW Ampliphase for their 620 frequency because of these issues. Instead, they bought a prototype Gates/Harris MW5. It was a solid performer once the tank traps were tuned correctly and the spectral purity modifications went in a year later. The BC1J is a nice transmitter, unfortunately most of those old transformers may not be available. 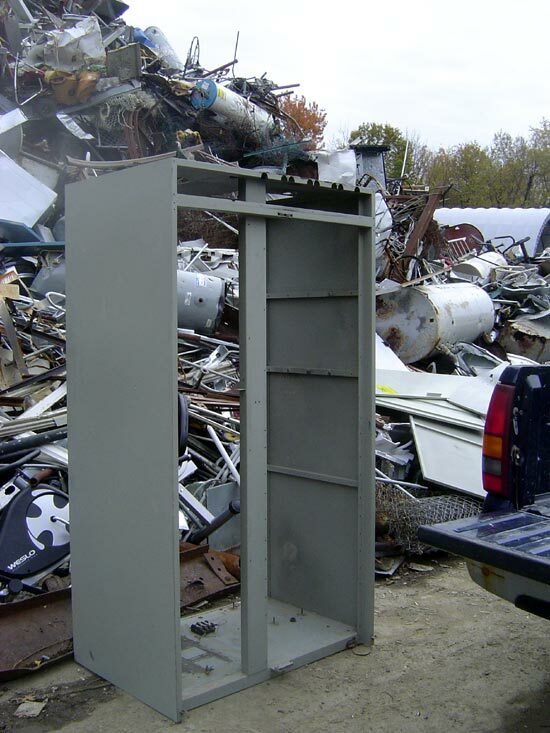 Peter Dahl used to have lots of replacement transformers for Gates and RCA transmitters but I think they went out of business when the owner died. The other thing you are going to want to look closely at is the modulation transformer. That is a pretty specialized piece of gear. Probably way too late to help brent robeson but I’ve got two transformers on the shelf that were used with mercury rectifiers. I saved all of these units as solid state rectifiers took over as their excellent hi-v insulation and high current capability make them an excellent substitute for most other filament application up to about 10 volts by just bucking up the primary voltage.